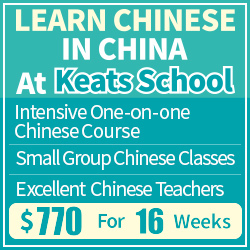 With the right attitude, learning Chinese in China can make your life a lot more interesting. I don’t mean this in the obvious sense that you can communicate with people around you, which is great, but that focusing on the language can turn things that would otherwise be boring into interesting learning opportunities. As is the case with so many other things in life, attitude is the key. Although we can influence what happens to us to a certain extent, life is chaotic and largely beyond our control. However, we can influence the way we react to things that happen to us, and this matters greatly. .This is why I have written several articles about attitude and mentality in relation to learning Chinese. I have argued before that you should try to regard the Chinese language as being fascinating and exciting rather than weird and stupid. The same goes for everyday life abroad (you could argue the same for your home country, although I want to stay closer to language learning here). You’re living in a house where you can hear most of what your neighbours are saying. They seem to be a quarrelsome lot and there’s plenty of fierce arguments and quite a bit of bad language being used. With the wrong attitude, this would be very annoying. You could complain for hours to your friends how inconsiderate your neighbours are and wonder why they got married if they fight every day. Whenever you’re at home, they would disturb your life and is this really the kind of thing you want to listen to as you fall asleep at night? With the right attitude, this can be quite an opportunity. You can learn a lot of interesting words from people who quarrel (the above scenario isn’t made up, by the way), even if you perhaps should think twice before using that language yourself. 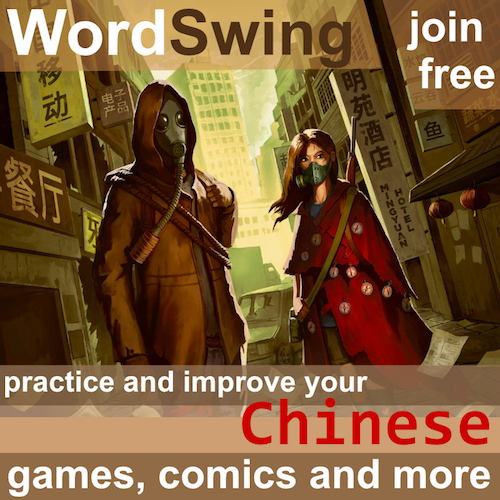 These guys are giving you free language lessons at home, you ought to thank them! Don’t do that, however, I don’t think they would understand. Now, if your neighbours were doing something other than quarrelling very noisily, well, let’s just say you will learn different words. Scenario: You find yourself in a situation where you have to listen to someone droning on about something you really don’t care about. You have better things to do. This could be a particularly boring lesson or lecture, or perhaps a public speech of some kind, it all depends on what kind of life you lead in general. With the wrong attitude, this is a waste of time. 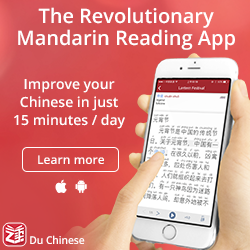 With some luck, you can get away with reviewing flashcards on your mobile phone without anyone catching you, but if it’s a lecture or lesson, this might be risky (I know most of you would probably play games instead, but I advocate a 先苦后甘 philosophy). With the right attitude, it doesn’t matter what the guy is talking about, just as long as it is in Chinese. Analyse his dialect, choice of words and sentence structure. This is of course easier if you happen to like pronunciation in general like I do, but paying close attention to how native speakers speak is never a bad idea. And don’t give me the “he doesn’t speak proper Chinese” if it’s not perfect Mandarin. China is a big country and people won’t adapt their language to our preferences, so deal with it. If you don’t understand what he says, focus on the bits you do understand. Scenario: You’re going by train somewhere and you learn that the train is delayed by two hours.You’re now stuck in an unwelcoming train station much longer than you intended. It might even be cold and start raining. With the wrong attitude, this is a catastrophe because now you’ll waste two hours on the train station or on the bus.You can feel how time is slipping away and you need to cancel the activities you had planned for the evening. With the right attitude, you can learn a lot from a train station. To start with, there are probably hundreds of people around, so even if you aren’t the outgoing type who can just start chatting with random stranger, there are plenty of listening opportunities. Train stations also contain a lot of information in written form, so you can also practise reading. Scenario: Once you actually get on the train ride described it the previous scenario, you still have a five hour journey to your destination.The train is full of people and there is no internet. If you’re really unlucky, your batteries are running low too. With the wrong attitude, this is just being on your way to somewhere. You might have brought a paperback in English with you or you might play games on your phone to kill time (murderer). With the right attitude, you can learn a lot from the people around you. The difference between a train station and a train is that people sitting next to you typically will stay next to you for some time. This both makes it easier to speak with them if you want to do that, but it also gives you more context in case you just want to listen in on what they’re saying to each other. If you don’t look Chinese, they might even talk about you! The point is that you have a choice. 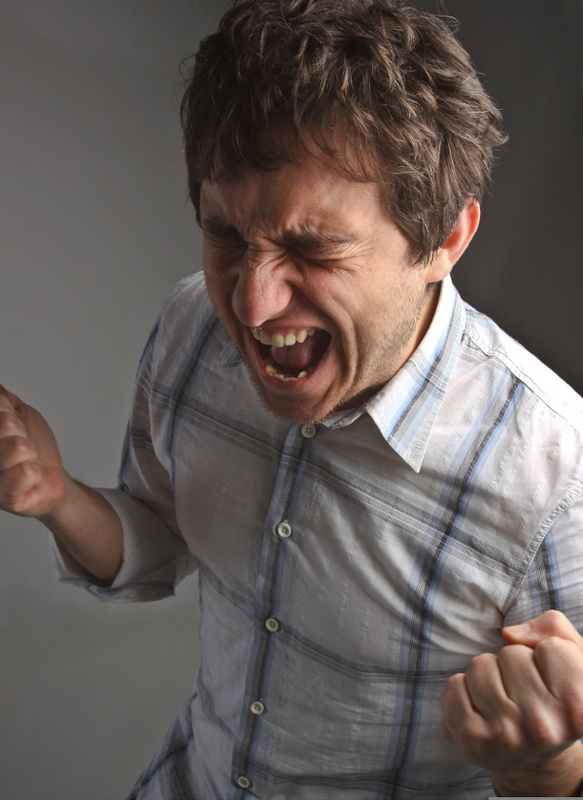 You probably can’t get your neighbours evicted or make them stop quarrelling, but you can change your attitude. You might find it difficult to avoid boring lectures or speech entirely, so you should do your best to enjoy them. It’s all in your mind. Sometimes, you can’t control what happens to you, but you can change the way you think about it. This is good for your mental health as well as your Chinese learning! If you’ve turned any other “negative” scenarios into learning opportunities, please share them in the comments below! If only I could have heard my quarrelsome neighbors in Taoyuan clearly enough to actually discern words! I suspect even if they had been quarreling in English I would not have understood what they were saying. On the upside, they only quarreled once in a while, so it was not too annoying. Olle, you remind me of Mr Money Moustache! Do you ever read that blog? teach a man to fish and you feed him for a lifetime." 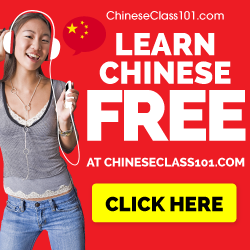 Sign-up now for a free crash course in how to learn Mandarin!